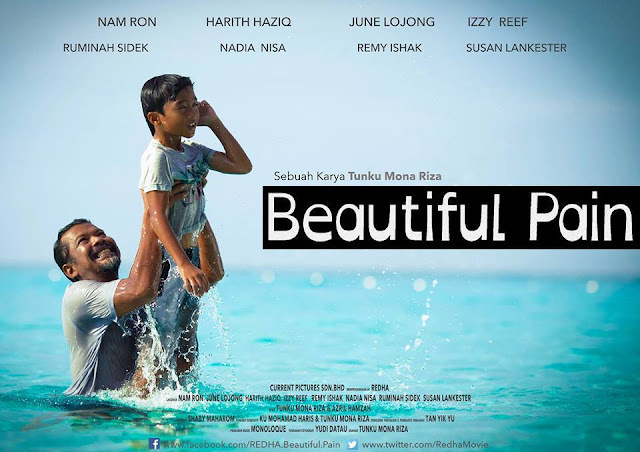 BEAUTIFUL PAIN is the first Malaysian film to tackle autism. In her feature directing debut, Tunku Mona Riza delivers a quiet, compassionate look at the condition which afflicts 1 in 160 children, according to the World Health Organization. Upon learning that their only son has autism, the parent's world suddenly crumbles. With hardly any knowledge about this condition, they struggle to confront the harsh realities of raising an autistic child. The film is produced by Current Pictures SdnBhdreleased thru Solar Pictures in the Philippines. This is also in partnership with Autism Society Philippines,The National Autism Society of Malaysia, SM Cares, and SM Cinema.